We've seen signs of the Wilson Red Line station's rehab with the demolition of buildings around the station, but this is the first sign of infrastructure changes. 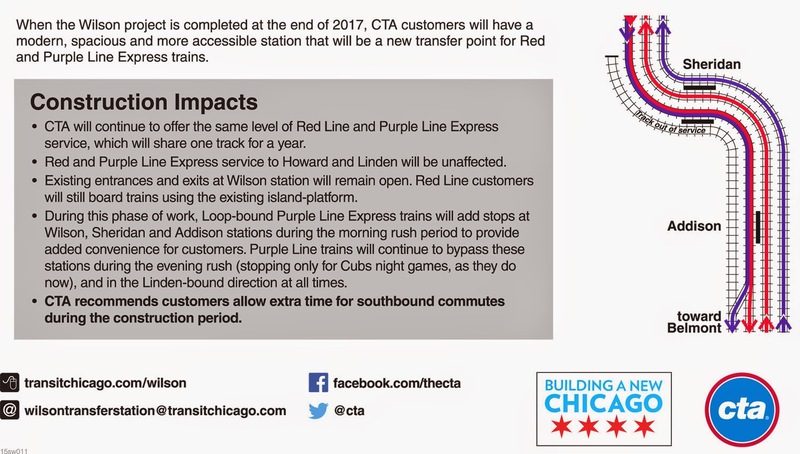 According to the Tribune, the construction will add two to four minutes to your southbound commute, as 2,200 feet of old track is removed and replaced. Eventually all four tracks will be completely remade. In addition, a new platform will be built during this phase of the construction. Construction begins March 9th. 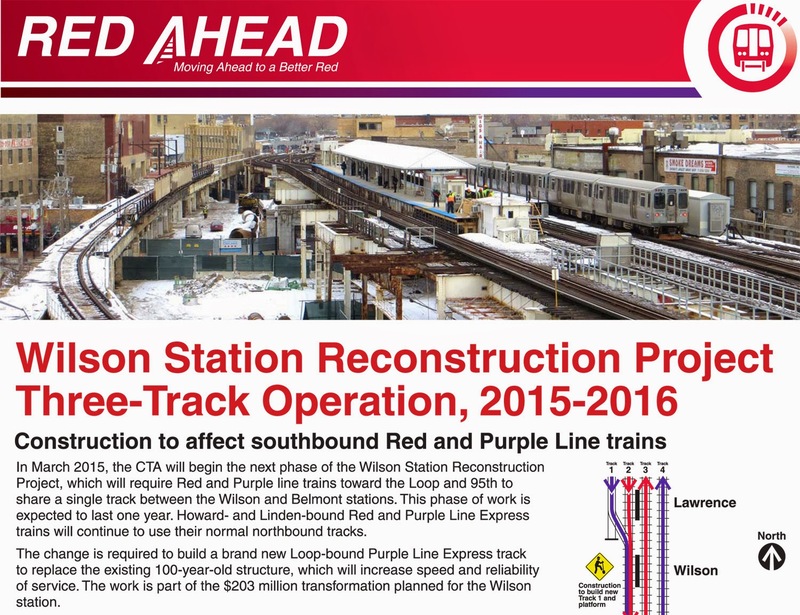 So does this mean that southbound purple line trains will be stopping at Wilson? If I would read the full notice, yes, yes it does!